I know I should've blogged about this over the weekend but I got caught up in watching Friends, it's getting really, really good that I couldn't stop. I'm almost finished with the 8th season now. Anyway, so last Friday, my last day as a student, had to be the longest day I spent in UST, and we weren't even there for classes. In the morning we had the "Meet the Parents" activity which went really well, and in the afternoon was our baccalaureate mass. To be honest, since we finished our final exams, I've been feeling indifferently about my oncoming graduation. I don't know, I guess, I feel like there's a huge chunk of my life that's suddenly not going to be there anymore. I remember feeling the same way when I graduated in high school. I wasn't really emotional during the ceremony but when I came back to my school like a couple days after, that's when the sadness hit me. Now, thinking about the last time I'm going to be in the same room with all of my college friends and the last time we're gonna be singing the UST Hymn just makes me feel... kind of lost. Besides, I'm actually really gonna miss UST. I mean, I know it's still only one jeepney ride away from where I live but, you know? It's going to be different, going there from now on will just make me a visitor... It'll no longer be a "home." But hey, it has been an amazing 4 years of my life and I'm surely gonna be keeping a lot of memories from my stay in the Royal and Pontifical Catholic University of Santo Tomas, the Catholic University of the Philippines. I'm surely gonna remember literally running through the Arch of the Centuries with all of my classmates as a mark of our finishing our degree. Being with this class has been the most fun I've had throughout college. 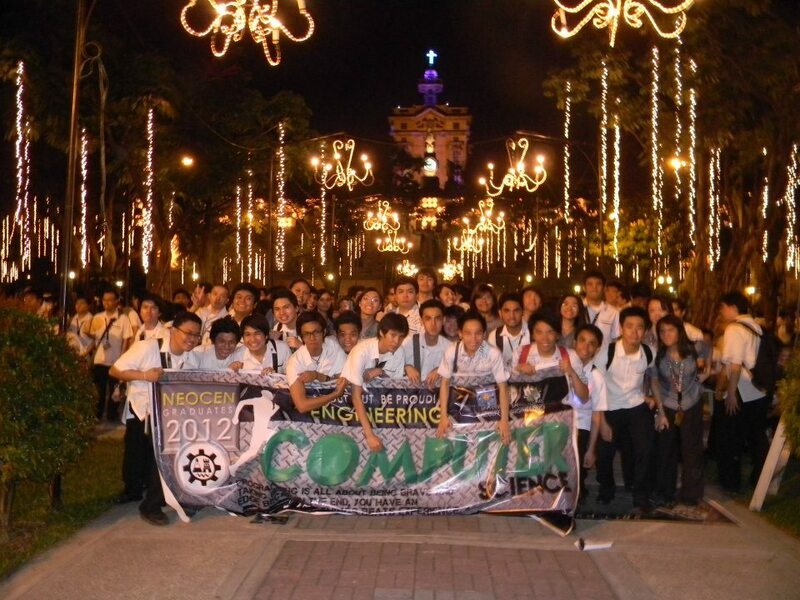 I love you forever, 4CSC! I started this one-movie-a-day thing on Twitter (I use a hashtag) the other day just out of the blue since I have to catch up on the latest movies I failed to see in time due to my fully-booked schedule ever since the year started. Now that the school year is over for me, since I'm graduating (yes, by the end of the month! ), I figured I should keep myself occupied by doing things I enjoy after working so hard to finish my last semester. 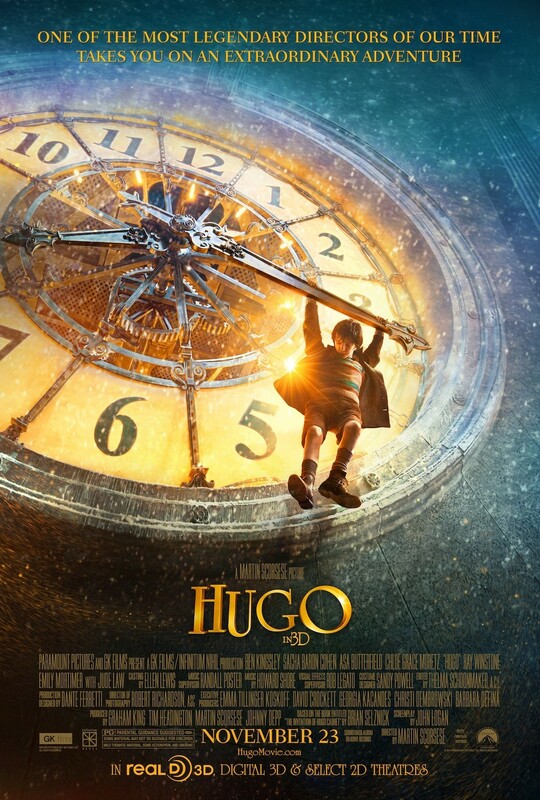 Anyway, my movie for the day was Martin Scorsese's "Hugo," a film set in 1930s Paris about an orphan boy who lives in the walls of a train station and is wrapped up in a mystery involving his late father and an automaton. After watching and enjoying the film, I now know why it earned Oscars for Art Direction and Cinematography, among others (the movie won a total of 5 Oscars and was nominated for another 6). I absolutely loved everything about the storyline of the film. I think what made me appreciate it so much was because it's a story wrapped in another story, and they sort of intertwine together through the main character, which is Hugo. But it was Chloe Moretz's character, Isabelle, whom I loved from the very beginning. She loved books and using big words, and going on an adventure, which was how she initially became associated with Hugo. "Machines never come with any extra parts. They always come with the exact amount they need. So, if the entire world was one big machine, I couldn't just be an extra part. I have to be here for some reason." That certainly gives a soon-to-be-a-graduate like me more than a strand of hope that I am here to make a difference. I mean, I already believe that everything happens or is here for a reason but I guess, sometimes, little reminders like this are just what we need to strengthen our faith. And also, it gives us just that little push we need to figure out just what we are here to do.